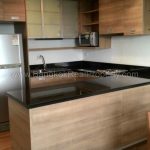 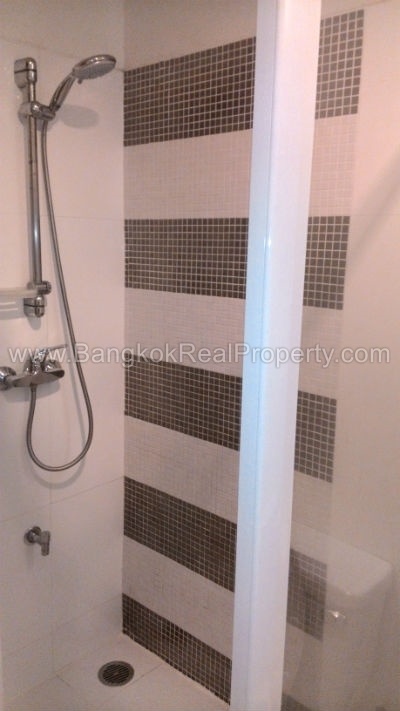 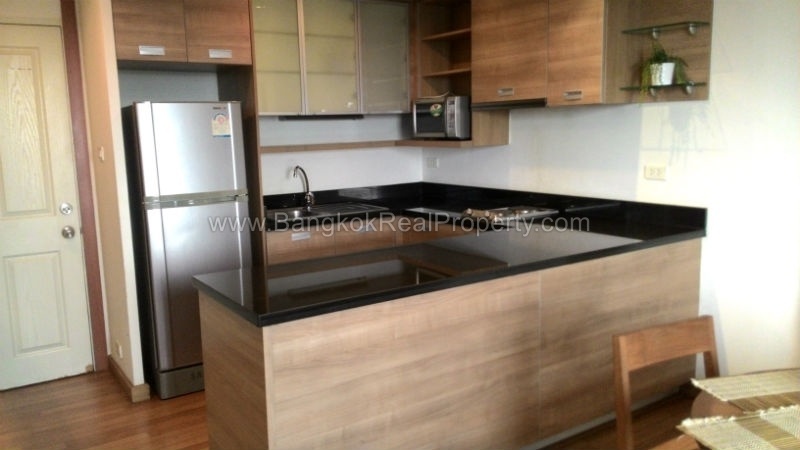 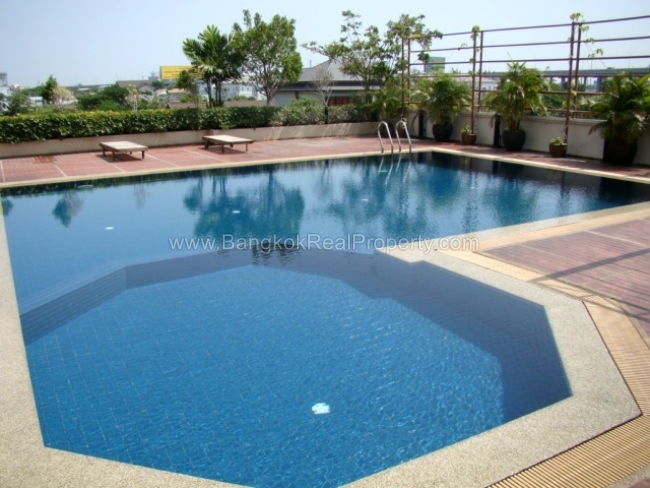 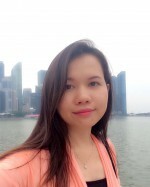 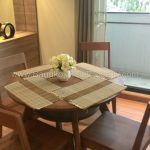 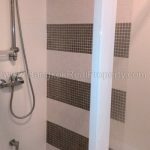 Beautiful, spacious, modern, 1 bedroom condo at The Roof Garden Sukhumvit 50 within walking distance of On Nut BTS, Tesco Lotus and all local On Nut amenities. 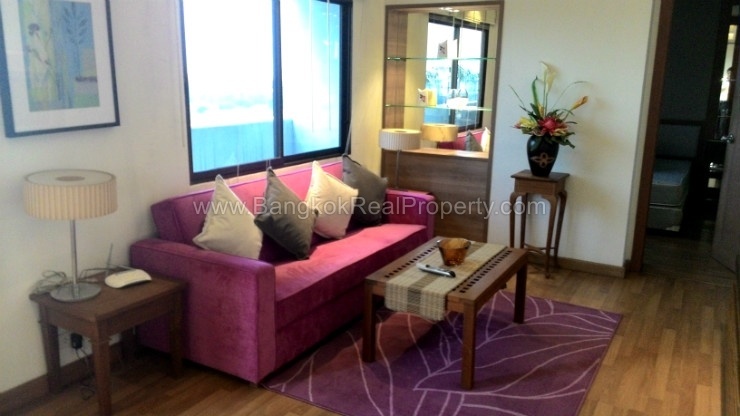 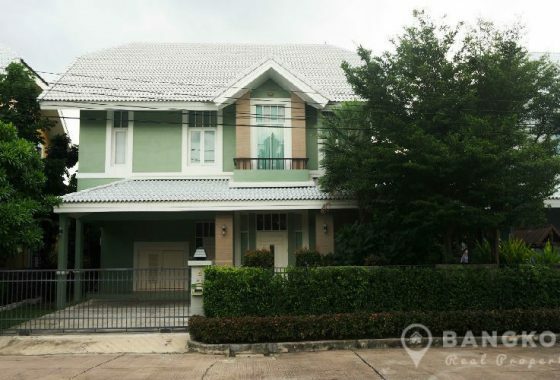 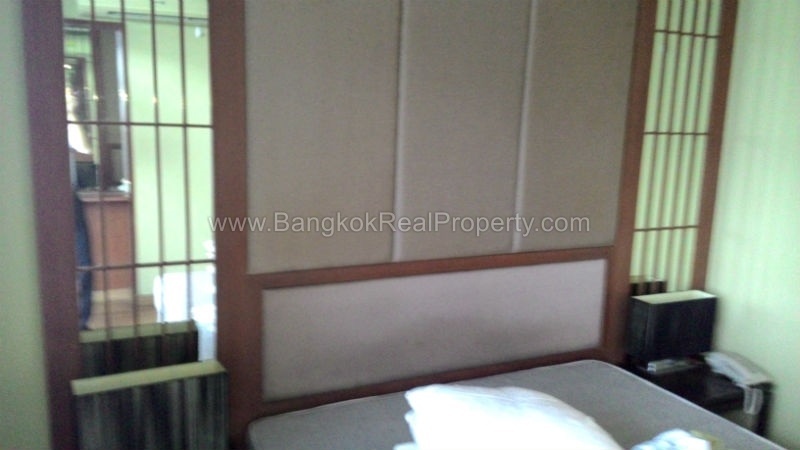 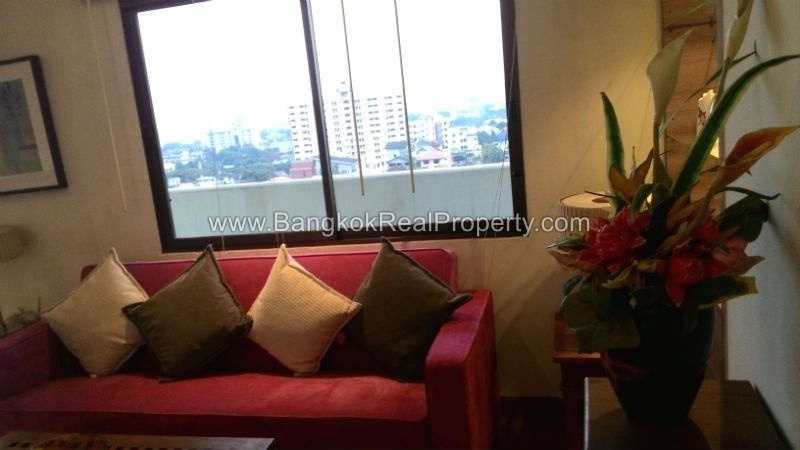 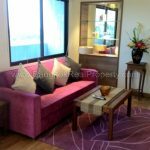 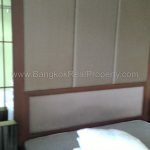 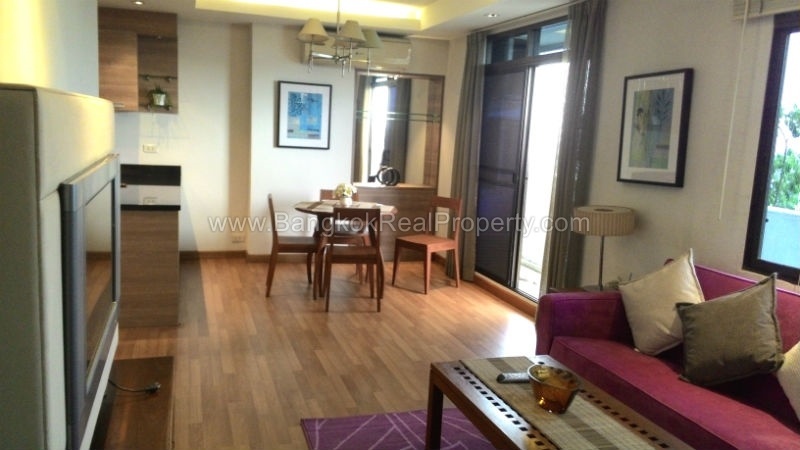 This very well furnished 1 bedroom unit is situated on a mid floor of The Roof Garden Sukhumvit 50 with a living space of 65 sq.m and a large balcony with un-blocked views over Sukhumvit. 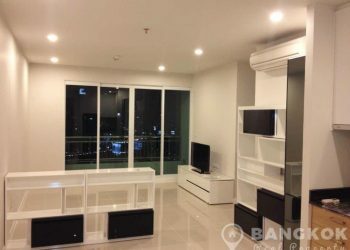 A generous open plan livingroom with dining area opens to a modern fitted European style kitchen with electric stove, extractor fan, microwave and fridge-freezer. 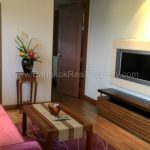 The large double bedroom has extensive built in wardrobes and an ensuite bathroom with bathtub and separate shower. 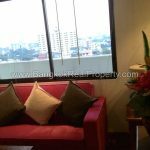 Facilities at The Roof Garden Sukhumvit 50 include a swimming pool, gym & fitness centre, male / female sauna, on site management and 24 hour security. 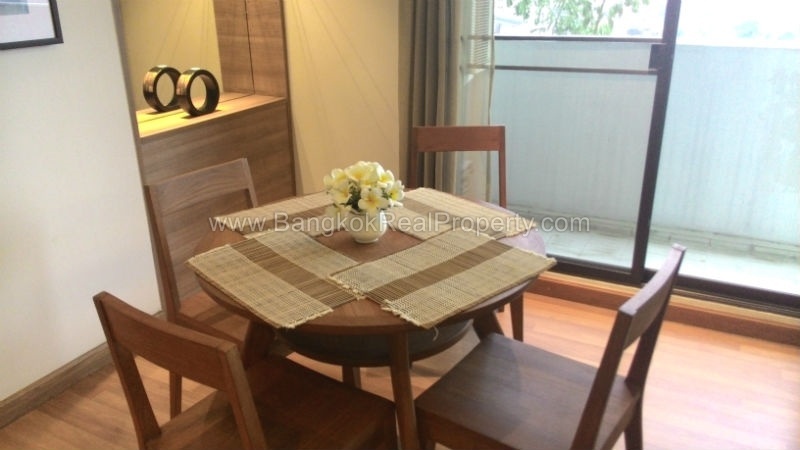 The Roof Garden is a condominium project, located in On Nut on Sukhumvit Soi 50, just 15 minutes walk from the BTS. 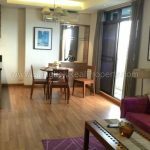 The Roof Garden was completed in 1998 and this project comprises of a single building with 17 floors and a total of 99 units, a mix of 1, 2 and 3 bedroom units.